When a deadly virus sweeps the country, Vivian sets out for California in hopes of seeing the daughter she gave up for adoption. Then her car breaks down and she’s faced with a choice: give up or accept a ride from redneck brothers, Angus and Axl. Vivian knows getting in the car with strangers is a risk, but with time running out, she’s willing to do whatever it takes to reach her daughter. The virus is spreading, and by the time the group makes it to California, most of the population has already been wiped out. When the dead start coming back, Vivian and the others realize that no electricity or running water are the least of their concerns. Now Vivian must learn how to be a mom under the most frightening circumstances, cope with Angus’s aggressive mood swings, and sort out her growing attraction to his brooding younger brother, Axl. 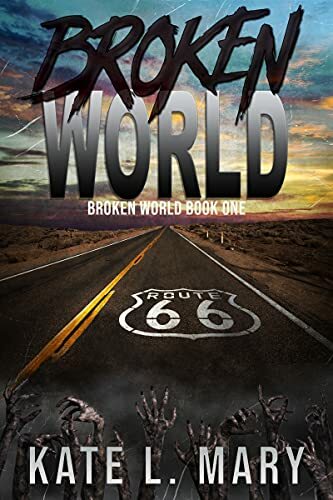 Click here to pick up your free copy of Broken World in the Amazon Kindle store. What happens when one of Santa’s elves doesn’t want to share anymore? Using magic, Greedy Elf shrinks Santa and takes over Santa’s workshop. Solve the clues that a pixie leaves behind and break the spell. Told by Ellie Elf, Santa’s photographer, her story illustrates the transforming power of love. Join Santa, Greedy Elf, Winter Wizard, Lucy and the rest of the gang and see the North Pole in a new way. 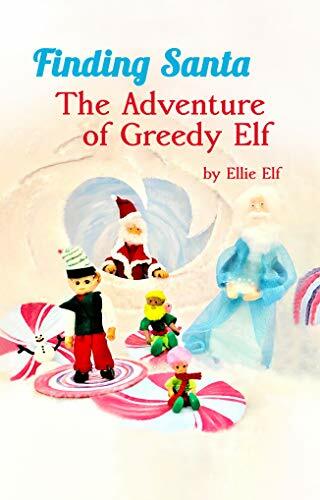 Click here to pick up your free copy of Finding Santa: The Adventure of Greedy Elf in the Amazon Kindle store. When Lauren divorces her husband, she has one thought on her mind… stepping off the merry-go-round. However, her life quickly turns into a three-ring circus: her hypochondriac father moves in, her ex is using her shower when she’s not home, and her perky assistant is pushing her out into the fearsome dating world. She also must decide if the dilapidated barn and vintage merry-go-round she is awarded in the divorce settlement is a blessing or a bane. As if Lauren’s personal life isn’t chaotic enough, this slightly jaded attorney is overrun with a cast of quirky characters who can’t stay on the right side of the law. What’s a woman to do? She can allow life to spin her in circles forever. Or she can reach out and grab the brass ring. 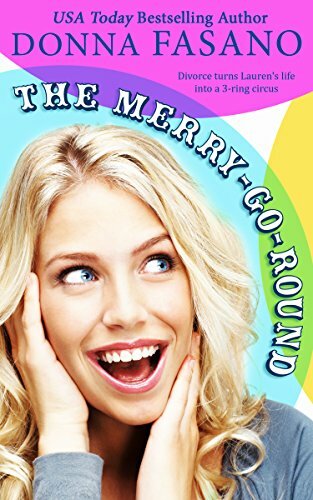 The Merry-Go-Round is a bright and comical tale of divorce, determination, second thoughts… and second chances. Click here to pick up your free copy of The Merry-Go-Round in the Amazon Kindle store. I come from a long line of witches, some of them wicked, but none of that will matter if my magic doesn’t awaken before midnight on my next birthday. If I miss that deadline, I’ll never be a true witch. If my mother and grandmotherhadn’t used their magic to kill each other, one of them might have been able to give me the keys to the mystery and I’d be one step closer to claiming my Fate Weaver heritage. Now, I guess I’ll have to figure it out on my own. 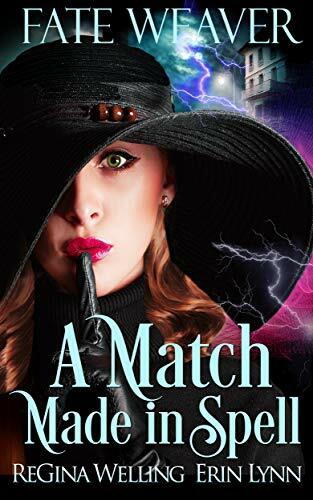 Click here to pick up your free copy of A Match Made in Spell in the Amazon Kindle store. A childhood shredded by evil. A demon hunter drawn back home. When the threat returns, will his tragic past end in hell? Oneka Falls, 1979. Four children disappear from a small town in Western New York. Forced to play a horrific, unspeakable game, three manage to escape, but with scarred minds. As the kids bury their memories in the deepest, darkest pits of their souls, their tormentor retreats to the forest…preparing for the right moment to return. Rochester, 2007. As a criminal pathologist with no memory of his childhood, Dr. Andrew Reid has seen the darkness within the human mind. An obsessive compulsion, coupled with a chilling gift, forces him to hunt the flesh-eating demons hiding behind human faces. When he visits a small town to investigate a fresh outbreak, he’s terrified to discover a town overrun by demons…and the Demon King himself. As his memories begin to creep back in, Reid enlists the help of his childhood friends to save one of their own. Can they exorcise the dark power to end the nightmare or will the town become a dark pit of damnation? 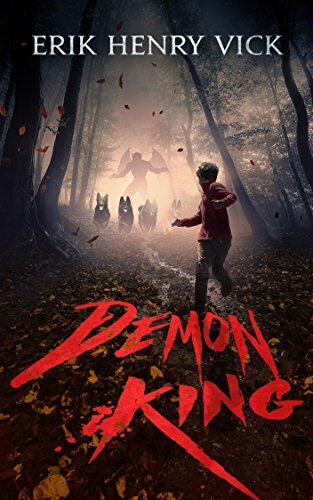 Click here or type in http://geni.us/demonking into your web browser to pick up your copy of Demon King in the Amazon Kindle store.